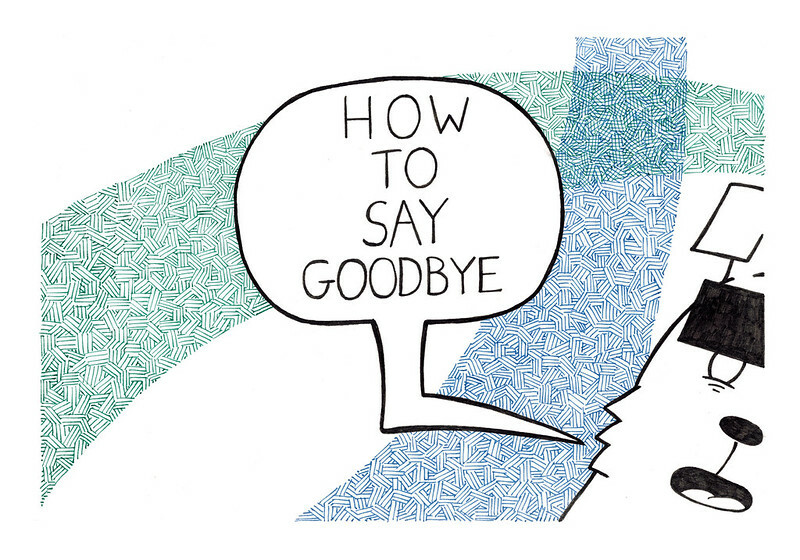 Beginning today I’m publishing a new alphabet book, How To Say Goodbye, one page per day, until the end of the year. It’ll be available to read over at Raccoonteurs.com, and possibly I’ll be updating it through instagram, if I can figure that out, so follow me there, maybe? I dunno. There’s also the twitter machine, which I’m also not sure I’ve ever figured out entirely. Oh yeah, if the embed thing works, then it’ll update itself here automatically, as well. There you go. Enjoy. I guess if you’re interested in buying any of the original artwork, let me know, somehow. It’s production art, so there are possibly some blemishes and stuff, but it was all actually done in three colors of ink at 9″x6″ on bristol. This entry was posted in books, Uncategorizable. Bookmark the permalink.